Even if the words “motivated seller” don’t show up in your real estate listing, you might be unknowingly sending the message anyways. How? By not ensuring that you’re presenting your property at its very best. That’s a surefire way for you to lose money. Here are some staging tips to prevent that from happening. When I came across this infographic, I immediately pinned it to the Selling Tips board for Set Your Stage on Pinterest. As a professional home stager in Calgary, I know that the words don’t actually have to show up on a listing to imply desperation. 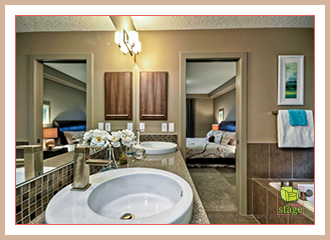 The way your property is presented speaks volumes. 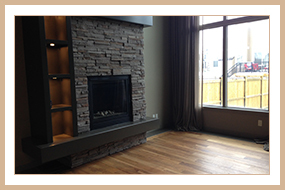 Before: Calgary living room before home staging. Now, if you’re a real estate investor or home buyer, this is helpful to you. But, if you’re selling, and you’re wanting to get the most for your investment – not at all desperate or wanting to be perceived as a motivated seller – you’ve got to address these signs. 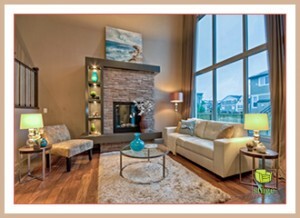 Work with a realtor who collaborates with a professional stager. Update the look and feel of an older property. Make it feel move-in ready and welcoming (like somebody has cared for it) with these staging checklists: Kitchen, Living Room, Bathroom. Don’t be perceived as a motivated seller. Stage your property and keep your money! For more staging inspiration, check out the various boards we have at Set Your Stage on Pinterest. 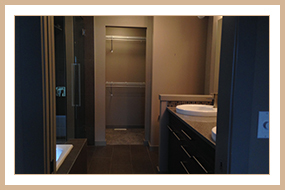 This entry was posted on Monday, August 10th, 2015 at 11:34 AM	and is filed under Home Staging Inspiration. You can follow any responses to this entry through the RSS 2.0 feed. You can skip to the end and leave a response. Pinging is currently not allowed.